1 1/8” White with Cross Design in Jars of 1000, 1000 per jar. Throughout the entire production process the breads remain untouched by human hands. 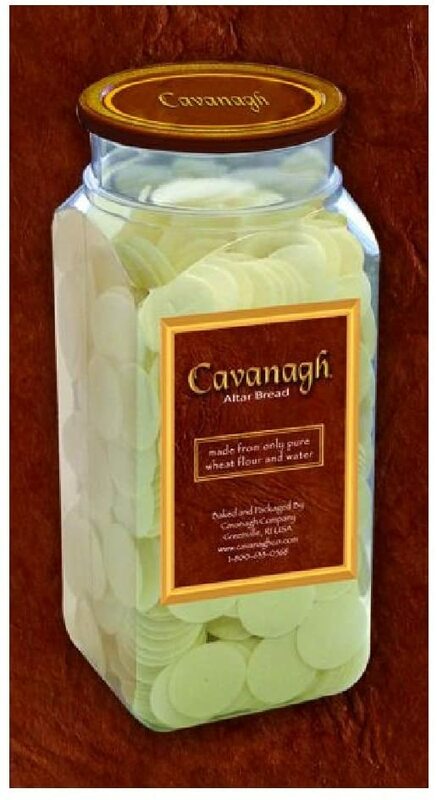 Cavanagh packaging is far superior to all other forms and includes cellophane rolls in boxes, barrier film bags, and hermetically sealed plastic containers.